Did I scare you Danny? I learned about The Wilhelm Scream through Lame Adventures blog. Apparently a dude named Wilhelm screamed in a film back in the day and it became pretty darn famous. It has been reused in many other movies by foleys who drop in the sound effects. I wondered if there was a famous gasp. The Lame Adventurer said she wasn’t familiar with the gasp. “Gasp!” How could she not be familiar with the gasp! I don’t think I have gone through a day without gasping. Gasp: a sudden intake of air expressing fright and freaking out everyone else around the aforementioned gasper. Often the gasp is followed by the clutching of one’s chest since a heart attack feels imminent. 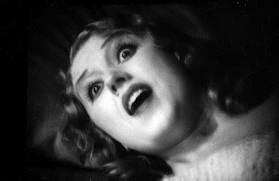 Fay Wray really knew how to gasp. After peeling them off the ceiling, they’d say, “Stop doing that!” I can’t help myself. It’s in my blood. Followed by another, “Gasp!… Oh…. never mind.” Everyone recuperated for the next 30 minutes after our short lives flashed before our eyes. It also commonly occurs when someone sneaks up and scares the Hell out of a person. 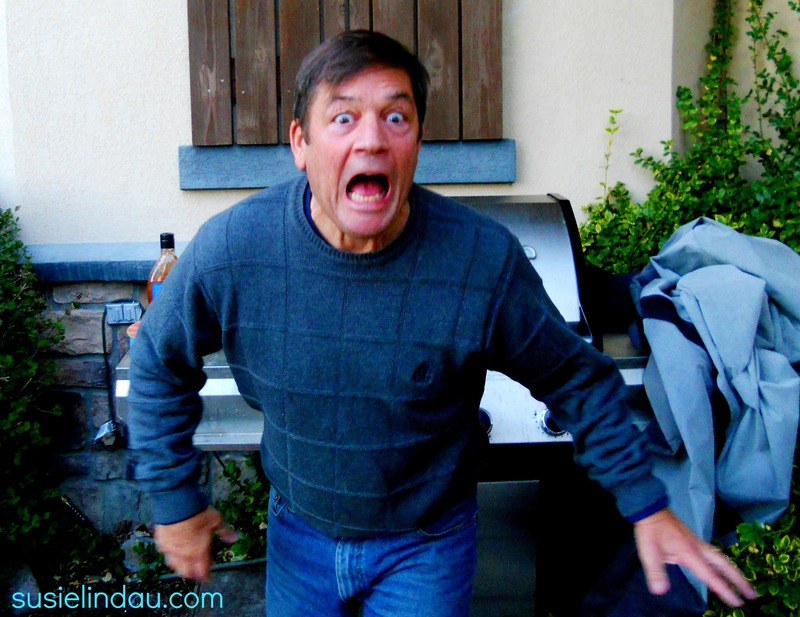 My husband Danny startles me on a daily basis. Following my gasp, he always responds, “I tried to make some noise, but you must not have heard me over the blow dryer/TV/garbage disposal.” I will shake for the next half hour after jumping out of my skin. Here is my own dramatization of the gasp. Can you relate? I have to admit to being a purist. It has to be an intake of air otherwise it is a scream. This funny video of The Annie Gasp from the television show, Community includes a few screams. The film trailer of Silent Hill: Revelation is full of gasps. Unlike my mom and me, these are justifiable exclamations. Over the years, I have perfected the gasp. Not only do I use it when I am startled or backseat driving, but also when I am excited, remembering something, watching a sporting event, learn any sort of news or come up with a new idea. Hey! I wonder if any of those Hollywood foleys are looking for an experienced gasper. They could call it The Lindau Gasp. “Gasp!” That would be so cool! I try to not to because I know that it may come back 2 or 3 fold – ha! That can be true! It has happened to me too! I hate being snuck up on. I jump a mile and yet I get so engrossed sometimes! At least your coworkers try to avoid sending you to the moon…. Oh Man you made gasping famous more than any movie..one of my Aunts was infamous for gasping at wrong occasions..she would Gasp and utter OMG REAALY WHEN..and then how sweet is that when are you getting married or whatever the news….people with weak heart would have died before even knowing it was a happy gasp.. Exactly! I experienced that so often when I lived with my mom and dad. I don’t know how my dad has lived such a long life! Hahaha! I almost never gasp, and rather than getting people to gasp in shock and fear, I often make them gasp for air while laughing so hard, it’s hard for them to breathe, which gives me great satisfaction. But sometimes my humor annoys rather than amuses, and then I see rolling eyes followed by exasperated sighs… and then I just sigh to myself, as I remember “Hey, ya can’t win ’em all, all the time.” But I’ll get ’em next time for sure! Too funny! I am definitely a gasper. Me too! All the time…. 🙂 Thanks for stopping by! AWESOME videos. And you helped me with an idea I’ve been working on. 😉 I was laughing at you and the second video. So fun! At my bachelorette party, the girls took me to a club where I had to do the whole Meg Ryan imitation from “When Harry Met Sally.” Of course those gasps quickly morph into something else. Tsk, tsk. Naughty girl. Hahaha! I loved that movie! Gasp gasp…gasp! Your gasp is quite professional sounding. I might have to emulate it- poorly- when my daughter drags me to see Paranormal 4. Those flicks scare the crap out of me. I haven’t seen any of those movies. I would be so on edge. Gasp! When the first one came out, I made fun of it. Then I went to see it and it scared the holy hell out of me. Seen ’em all, wasn’t much of a fan of the last one. But they all spooked me, and the preview for the new one gives me chills too. Now that they are probably on PPV, I should watch it. I love having the control to change the channel if it gets to be too much! Ha! The gasp! Oh I hate it when I’m driving and my mom or sister give me the gasp, like gasp there’s a stop light … like 1000 yards away. Ugh gasp passengers kill me. The gasp is more dangerous than the road. Same! I still do and drive Danny nuts when he is driving. I learned the trait from my mom or was it inherited???? Thanks Alarna! 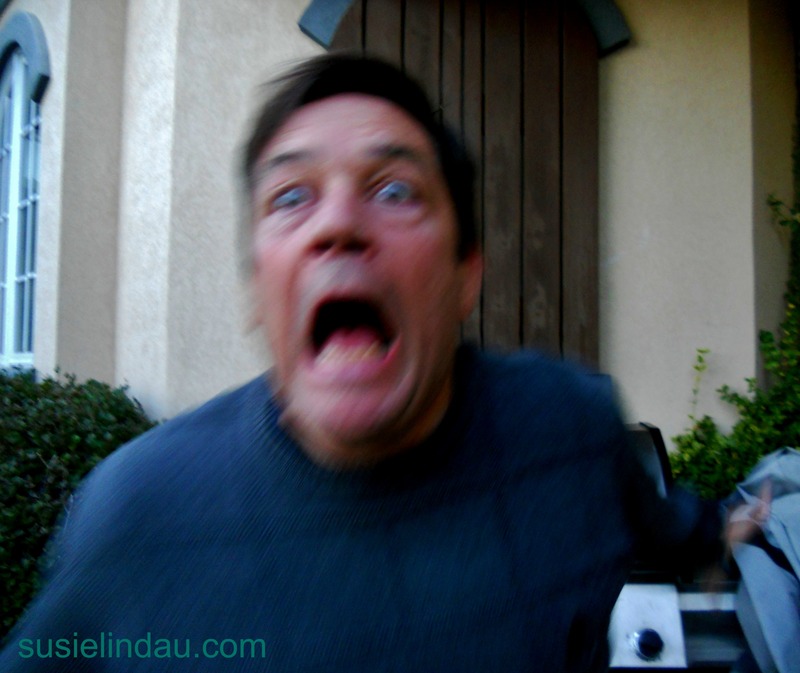 I think we are probably all guilty of gasping when we are not driving as well as jumping a mile when we are! It sure gets everyone’s attention! This was fun! I’m a gasper too, but I’ve been trying to stop because it drives my husband insane if I gasp when we’re driving and he thinks something terrible is wrong. Exactly! I have the same habit, although I have no self control. Hahaha! Does anyone else find that after watching a long series of gasps, one ends up with an out-of-breath feeling? Totally illogical, because after all the gasp is an intake. Hmmm. What would you call a gasp where the air goes OUT? I call that a scream. If you watch the video you’ll see both examples. She is pretty funny! No, a scream is when you add treble to the breath. What would be the breath unaccompanied?